Online event security is often overlooked but an extremely important part of planning an event. There is so much information and data held on event websites and registration platforms such as credit cards, flight info, home addresses and more, it is a jackpot of information for hackers. As an event planner, it is your job to make sure your attendee's valuable information is safely secured. 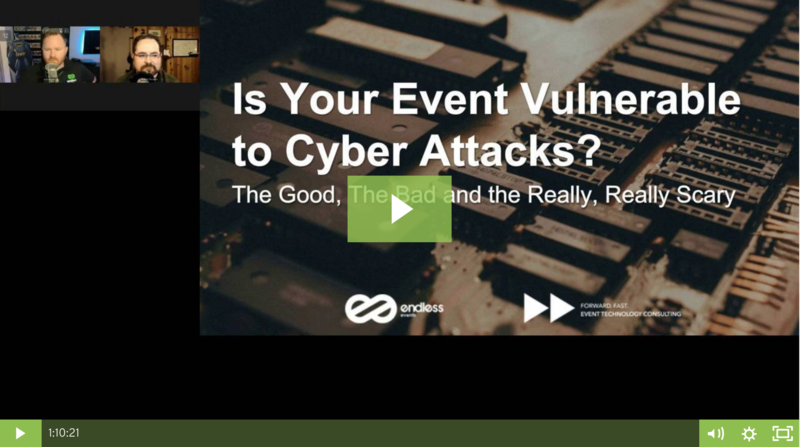 Sign up to Watch the Free Event Cyber Attacks Webinar!